A simple yet Complete Solution that enables your practice to offer the Annual Wellness Visit to your Medicare patients. 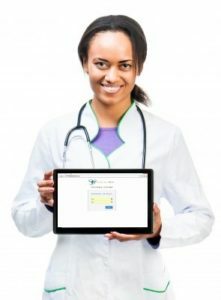 WellTrackONE provides primary care physicians at Medical Practices with a simple yet complete solution for processing the Medicare Annual Wellness Visit (AWV) for ALL your Medicare patients. With the WellTrackONE system, we send personalized letters to your patients and call them to schedule them into your practice. We also gather medical information over the phone to save you time in the office. You then designate a mid-level, nurse or other medical professional to complete the AWV (30 minutes) in your office. You do the billing and you collect the money. WellTrackONE charges a small fee per completed visit AFTER you get paid. There is no risk and no upfront cost to use WellTrackONE. Medicare Practices will see a significant increase in income from WellTrackONE because our reports are so complete. You have all the data you need to treat the patient for their chronic or acute care conditions over the course of the year, thus generating significant revenue and taking great care of your patients. Of course, one of the real values to the WellTrackONE Annual Wellness Visit program is that it helps reduce the onset of chronic illnesses, helps prevent catastrophic accidents, helps keep patients out of the hospital, and helps them stay out of long term care and nursing homes. This is your contribution back to our nation’s healthcare system – you’ll do your part to help reduce the annual spend on Medicare. Our 4-year history with the program shows that physicians have significantly reduced their patients’ risk factors AND averaged over $500 in increased income per patient per year for those patients processed by the WellTrackONE system. That can add up to hundreds of thousands of dollars per year to your bottom line. Your patients will LOVE the visits and it’s good for your practice’s health as well. WellTrackONE is a MUST for every busy primary care provider. Let US provide you with audit-proof documentation for your Medicare Annual Wellness Visits. We do the heavy lifting; YOU practice medicine. Isn’t that how it should be? Call us today to find out how we do this at no cost to you. It’s very easy, requires no technology on your part and provides you with substantially higher levels of income from both the AWVs and the follow-up care.